KUALA LUMPUR, 12 June 2018 – A certification that goes beyond the obvious and signed documents. The press conference was held with a common objective and vision that both Ticadoc and Sheraton Imperial Kuala Lumpur Hotel shared, which was to further expand the Malaysian hospitality horizon through Medical Tourism. The numbers of medical travellers coming to Malaysia continues to show a positive growth from year to year. In 2017, Malaysia received the “Destination of The Year” award for the third time in a row at the International Medical Travel Journal (IMTJ) Awards 2017 in Opatija. 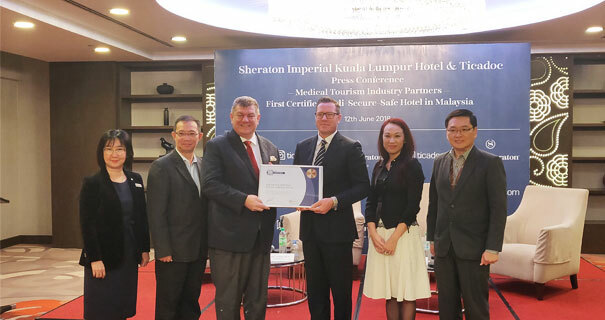 During the press conference held at the hotel, Sheraton Imperial Kuala Lumpur Hotel was presented the First Certified Medi-Secure-Safe Hotel in Malaysia by Ticadoc. To be certified, hotels have to go through a series of audit, internally and externally, with a comprehensive list of strict safety and secure compliance to fulfil. “Moreover, we have always believed in the best well-being and comfort of our guests and it is proven since the existence of this hotel building. Every of our design structure is architectured with those who are physically challenged in mind – From our entrance, the lobby lift where the buttons are strategically placed to our rooms,” he said. “Through this event, we hope to showcase the exemplary standard of what it takes to be a Ticadoc certified hotel. 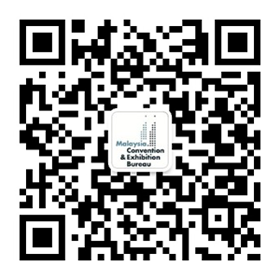 We are very selective when it comes to the registration of any hotel to be certified. Our platform is to provide medical-stay travellers with assurance, using us as a tool to assess their choice of stay is in accordance to strict medical requirements,” he said. Beck further adds, “Our Healthcation ‘HI’ package is to provide options to medical travellers, accommodating to their travelling needs that require additional care and comfort, especially that they are away from home. Furthermore, it is not only them that we are looking at but also in ensuring the comforts of their companions,” he added. The package includes a one night’s stay at the hotel’s Deluxe Room with breakfast for two plus health screen routine, cardiological examination and laboratory test for one person at Prince Court Medical Centre. As an introductory offer to this package, guest can now purchase it from only RM988 nett, which comes with complimentary Hi-tea for two at the hotel’s Pavilions Lounge located on the first floor. This promotion is made available until July 31st, 2018.